Sometimes, the simplest things that are overlooked contain hidden powers. They exist in unassuming fashion, never making too much of a fuss, just going about their business. This phenomenon is quite common, and an example is saliva. This wondrous concoction of enzymes and minerals lives right in your mouth, no fanfare, just quietly helping you to maintain a relative degree of oral health. Your dentist is aware of the amazing properties of saliva and eager to share them with you. Did you know that your saliva has amazing healing properties? A recent study has found an explanation for why wounds in your mouth heal much faster and more efficiently than those elsewhere. The study examined the effects of salivary peptide histatin-1 (a type of molecule found in saliva) and its affects on angiogenesis (blood vessel formation). This is important information because in showing that saliva encourages blood vessel formation (which is essential to healing), we are able to see how saliva then indirectly influences healing. 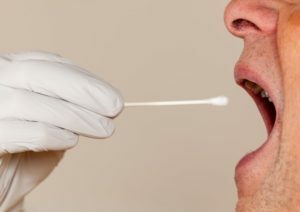 Researchers are so excited by this discovery that they are looking into how to expand the healing properties of saliva in the mouth, to wounds in other areas. There are even more amazing benefits of saliva. Bathing the Mouth – Saliva also bathes your mouth, helping rid it of harmful bacteria that may linger from meals and cause gum disease. Fighting Bad Breath – Saliva also fights bad breath moistening the tongue, making it harder for food particles and bacteria to get lodged in between the papillae (the little raised bumps on your tongue). Aides in digestion of Food – Your saliva also contains enzymes that aide in the digestion of your food when you eat. It’s important to protect this hidden asset. If your saliva is low, you can chew sugar-free gum or eat sugar-free candy to stimulate production. Another factor to remember that affects your saliva is water intake. Strive to take in the correct daily amount, which is half of your weight in ounces. So, if you weigh 200 pounds, you’ll need to consume 100 ounces of water. Now that you know about the fascinating healing powers living inside of you, be sure to protect it as best as possible. Make sure to brush and floss your teeth at least twice a day, and be sure to visit your dentist for cleanings and checkups every six months to ensure that your oral health and saliva production are at optimum levels. Dr. J. Peter St. Clair, DMD graduated from St. Anselm College and Tufts University School of Dental Medicine. With over 20 years of practice, he is still committed to learning and staying abreast of the latest advancements in dentistry. He practices at Dental Partners of Newburyport and can be reached for more information through his website.